Below, check out performances of both, which feature “Late Night” bandleader Fred Armisen on bass and Miracle Legion’s Mark Mulcahy on keyboards. 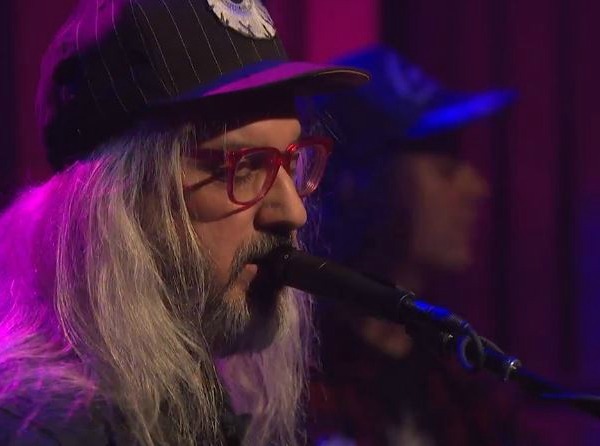 Mascis’ cover of “Fade Into You” will be reissued as a 7-inch single by Sub Pop later this month. Is this one of these insulting situations whereby if you’re going to put an artist on TV that not a lot of people know then they’re going to have to play a song that people know. It’s not a knock against J (who’s a genius and is recognized by a lot of people as such) but it is a knock against how boring and unadventurous TV has become. He has also been playing this song in his sets for a while now. There was a post of him doing it about three months ago on dangerous minds (which is a great site by the way). He played an album track on the show. The cover was for the website. is that fred armisten playing bass behind him?? Yes, he’s the often-absent-leader of Seth’s house band.